With Amma visiting, we always start making very healthy and traditional recipes. Amma always loves medicinal vegetables and makes sure that it is incorporated into the diet. 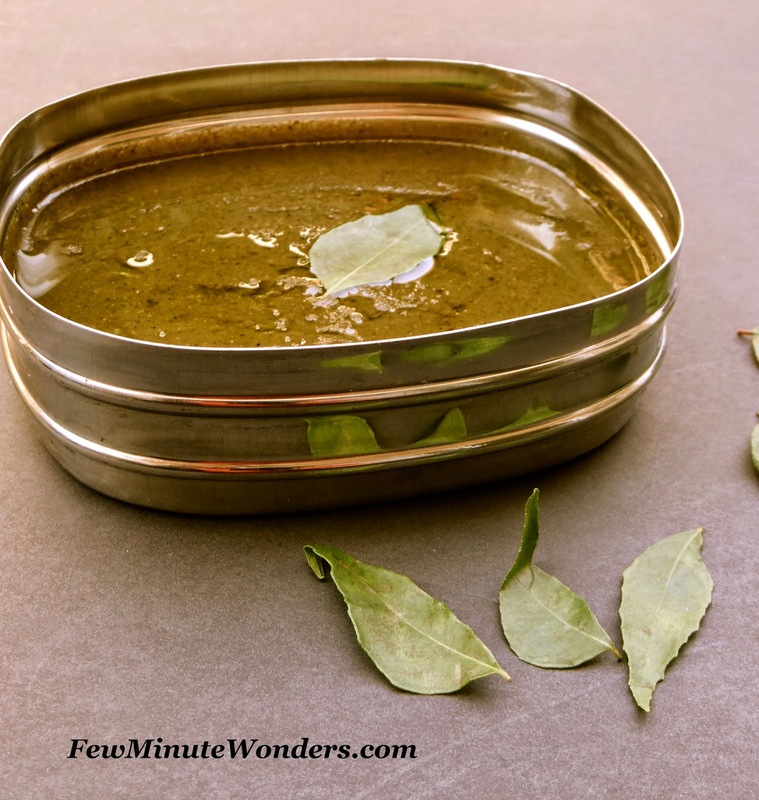 Some months ago my sister called me to find out the easy version of the karuvapillai kozhambu that Amma used to make. I told her I had no clue and she told me that I need to blog it next time because it very delicious. So this time my Amma helped me make this kozhambu and I loved it. It was super easy and I loved the saucy texture of the kozhambu. It paired very well with moong and channa dhal paruppu thogayal. 1. 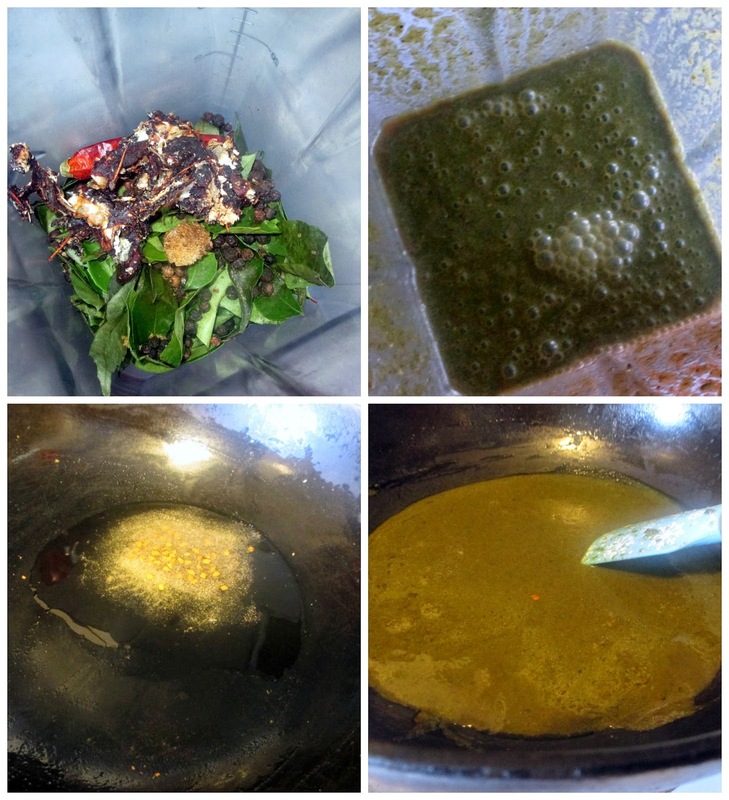 Add curry leaves, pepper, chillies, tamarind, asafetida and water in a blender and make into a fine paste. 2. Heat the wok with oil. Add mustard and fenugreek seeds, as soon as the mustard seeds pop add the paste along with some salt. 3. Bring the sauce to a boil and you will see it thicken in a few minutes, add jaggery and mix well. Serve it over hot rice. Nice tasty kuzhambu, love to have this with steamed rice and pappadam :):)Bookmarked. Lipsmacking kuzhambu, hard to resist.